The Punisher showrunner is "still hoping that we get season 3"
Posted January 28, 2019 by Andrew Dexter & filed under Headlines, News. With Luke Cage, Iron Fist and Daredevil cancelled, The Punisher and Jessica Jones are the only Marvel shows left on Netflix’s slate. Fans are assuming that these series will be cancelled, as well, but now The Punisher‘s creative team have commented on their future. It sounds like Bernthal is in the dark as much as we are, but he’s taking the wise step of trying not to worry about it. 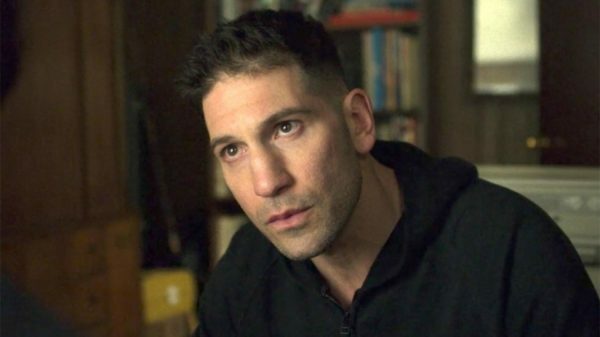 The Punisher is available on Netflix now, and the Disney+ streaming service is launching later this year. Here’s hoping, if the cancellation axe does swing again, that the latter can provide a new home for the former.